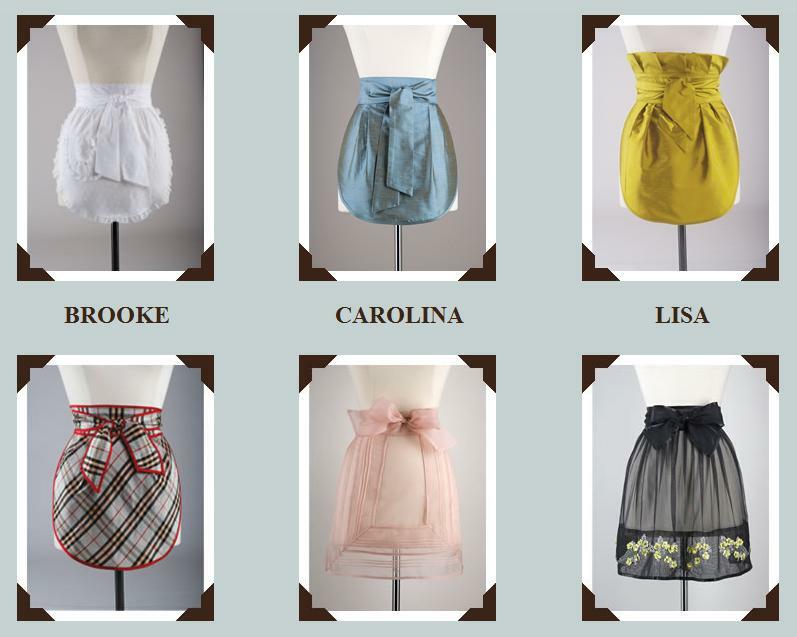 Lisa Garza – Chef, Designer & Food Network Star Launches Her Vintage Apron Line, COUTURE CAVIAR At Neiman Marcus. True Fashionista Now > Uncategorized > Lisa Garza – Chef, Designer & Food Network Star Launches Her Vintage Apron Line, COUTURE CAVIAR At Neiman Marcus. Lisa Garza, founder of Couture Caviar, has collected vintage aprons since childhood. With her Dutch American upbringing, Lisa was taught craftsmanship and luxury embellishment from an early age by her grandmother and grandfather who where Dutch craftsmen. Through the inspiration she derived from her personal collection of aprons, Lisa created Couture Caviar. Couture Caviar aprons are inspired by these vintage designs and techniques dating back to the mid 1800’s. Our company imports only the finest fabrics and embellishments, and we craft each piece by hand in order to guarantee our customer the highest quality heirloom garment. Follow Lisa Garza on Twitter. Like Lisa Garza on Facebook. Some of the apron looks from her collection. FASHIONCLASH Maastricht 2012 – The Gomes Esser Design Collection. Fashionistas Who Love To Glam It Up. Beyonce to Wear Givenchy Couture in New Video?